We’re a team of registered osteopaths, nutritionists and sports massage therapists. We take great pride in putting our clients at ease and using our professional experience to give them the best possible outcomes. Gavin’s a general practice osteopath, with a special interest in treating sports and dancing injuries, headaches and acute lower back pain. He’s obsessed with marathon running, and has treated both amateur and elite runners alike, including Paula Radcliffe. runs a series of popular postgraduate workshops for osteopaths. 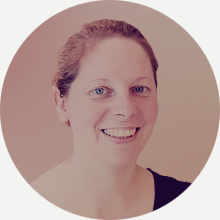 Holly’s a general practice osteopath with a passion for dance and all things physical, which not only keeps her fit and healthy, but also gives her an insight into patients’ injuries. She studied dance at the Northern School of Contemporary Dance and worked as a freelance dance artist in a variety of community settings before choosing osteopathy. Driven by a fascination in the body, movement and maintenance of health, she went on to study osteopathy at the British College of Osteopathic Medicine, where she graduated with a Masters Degree with Distinction. Holly’s patient-centred approach to practice means she works in partnership with patients to ensure their goals are understood and achieved. She also uses a range of techniques such as dry needling and taping in combinations to best suit the individual. 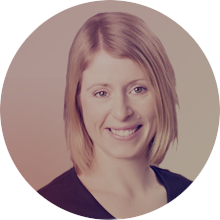 Miranda’s an osteopath with more than 20 years’ experience. She’s also the Head of Back and Beyond’s mother and baby clinic, where she indulges her special interest in treating babies, children and pregnancy. Miranda ran the paediatric clinic at the London School of Osteopathy for many years, and lectures extensively in pediatric, obstetric, geriatric, general and cranial osteopathy. She also works as a university examiner and runs a home visit service, Mum & Baby @ Home, for mothers and their babies. Rebecca’s passionate about mountaineering, outdoor sports and nature. In fact, she spent 20 years as an outdoor education development trainer and youth worker before training in osteopathy. 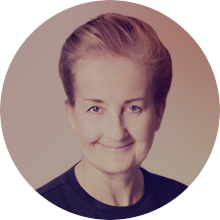 She uses structural, cranial and visceral techniques as part of her tailor-made treatments, offering patients practical solutions to long-term health issues. Depending on the patient, she sometimes also uses supplementary treatments, such as naturopathy, cupping, dry needling and taping. Rebecca graduated from the British College of Osteopathic Medicine with a Master’s degree in Osteopathy and Naturopathy. She’s also a trained Hatha yoga teacher, and uses one-to-one therapeutic yoga for injury rehabilitation – this helps increase flexibility, stability and strength, in order to build and maintain core postural alignment and improve breathing. 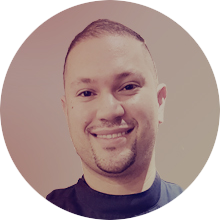 Haythem’s a general practice osteopath who enjoys using manual therapy techniques, and who has a special interest in using exercises and acupuncture to treat musculoskeletal injuries. Haythem graduated from Bournemouth University with a BSc in Exercise Science (Health & Rehabilitation). He subsequently, trained at the Midlands School of Massage & Manipulative Therapy, where he acquired an advanced diploma in Massage & Manipulative Therapy. More recently, Haythem gained a master’s degree in osteopathy from the London School of Osteopathy. 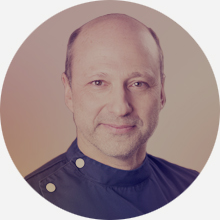 Haythem’s passionate about osteopathic treatments and continuous professional development; After completing his master’s degree, he was recruited by the London School of Osteopathy to support lectures and support junior osteopaths in the development of their manual techniques. Roxanne’s a massage therapist with a background in making West End costumes. It was her fascination with anatomy, how the muscular system works and balance that contributed to her change in career. 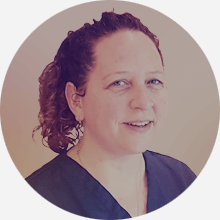 Her specialist interest is in Fascia and the role it plays in soft tissue dysfunction and pain – she often likes to incorporate myofascial release into her treatments. Over the years she’s worked with West End actors, dancers, singers, rugby players (professional and amateur), footballers, distance runners and other athletes. She’s currently working with a team of five 100m sprinters – two went to the Rio Olympics and one has recently joined the British Bobsled team. Roxanne’s a member of the Institute of Sports and Remedial Massage (ISRM). Anna’s a sports massage therapist with more than 7 years’ experience in treating a variety of injuries, during that time she’s also worked with Barnet FC across three seasons. Her career in massage therapy started from a desire to move away from office life and create a career supporting the health of others. The underlying ethos of her work is that massage therapy shouldn’t just be seen as a treat – it’s an opportunity to relax, repair and rejuvenate the body. Her stress-busting massage is ideal for office workers and computer users. She’s also qualified to give pre and postpartum massage, including working with sufferers of SPD. 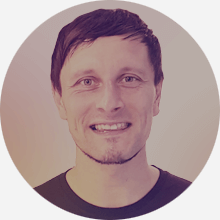 Pawel’s a massage therapist who has a particular interest in movement – he’s been practicing martial arts, pilates, yoga, Brazilian Jiu Jitsu and functional fitness for many years. He’s also a keen hiker and backpacker. He qualified from London School of Sports Massage with an IRSM/BTEC (level 5) professional Diploma in Sport & Remedial Massage Therapy. Currently in his fourth year at the University College of Osteopathy (formerly the British School of Osteopathy). Pawel’s interest in manual therapy is perfectly in sync with his further studies. Pawel is a full member of the Institute of Sports and Remedial Massage. Susie loves food! She believes that food is the simplest, cheapest, healthiest, pleasure we have, and that eating the right food for our body can make us feel great. Likewise, eating the wrong food for our bodies can make us feel dreadful. This is of course easier said than done, as we are all individuals and our lifestyles, tastes, beliefs and health all affect what we eat and drink. She believes working with individuals and their personal circumstances is an important way to get the right balance of health, pleasure and convenience with what we eat. She doesn’t believe in just telling people what to eat and drink, but through her knowledge and experience she’s able to help you to help yourself. 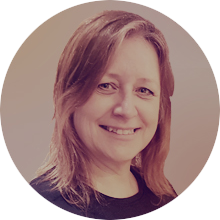 Susie graduated from the University of Westminster with a BSc Honours in Nutritional Therapy – one of the highest undergraduate levels of training for nutritional therapists, with more than 300 hours of clinical practice. Susie’s a fully insured member of the British Association of Applied Nutrition and Nutritional Therapy (BANT).